Jason Leclerc: Author-Poet-Cultural Critic – Hey! That’s My Hummus! The past two months have been a bit crazy in our lives. In fact, while we were able to record this episode — which includes a great interview with a special guest — it took a good month to edit and do post-production on it. We didn’t think it would take quite this long, and we appreciate your patience throughout the past few weeks. We hope it won’t be such a long wait for our next episode. But let’s not get ahead of ourselves! This episode, recorded in the middle of August, has us joined by cultural curmudgeon and brash social flaneurJason Leclerc. 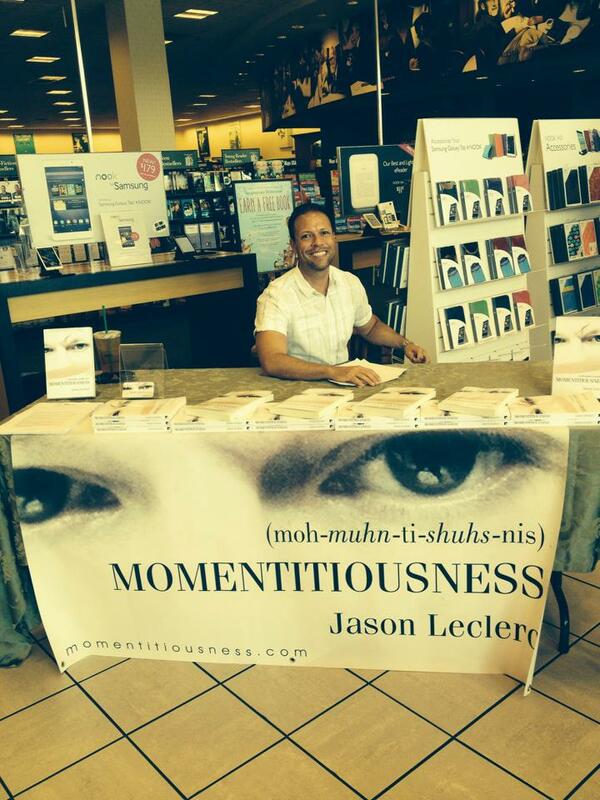 Jason is the author of Momentitiousness and its follow-up Black Kettle. We discuss his unique literary style, intertwining new characters and settings with current social commentary. You can find Jason on Twitter here: @JLeclercAuthor. Or on Facebook here. Written by: shiny on September 19, 2016.